I know it is early into the month of September. I get it, it is still summer technically, but you guys... 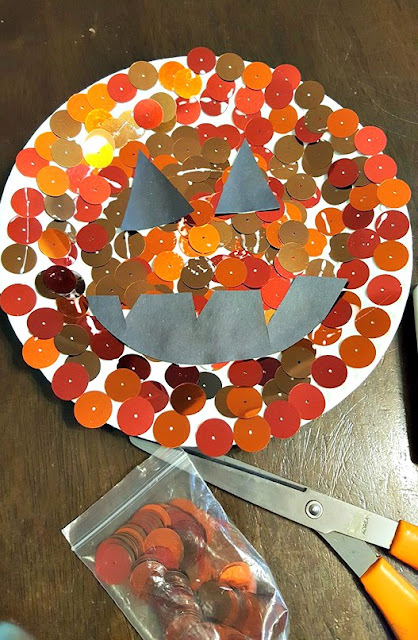 I can't resist making some awesome pumpkin crafts with my kids! Today, we were ready to jump into the fall theme of things, so we surveyed our craft supplies and made these Shiny Happy Pumpkins! My almost 3 year old loved these large sequins and thought they were beautiful! I have to admit, this is the shiniest fall craft we have ever made, they do look happy too!! 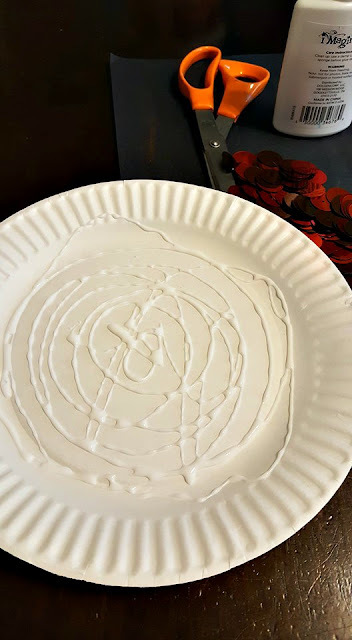 Apply glue to the paper plate, be generous! Start filling in the plate with the large sequins. 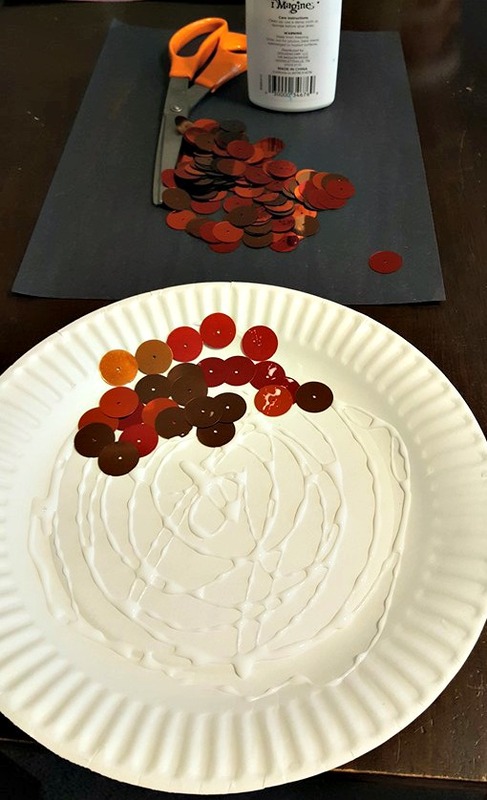 This is a great fine motor activity for kids of all ages! 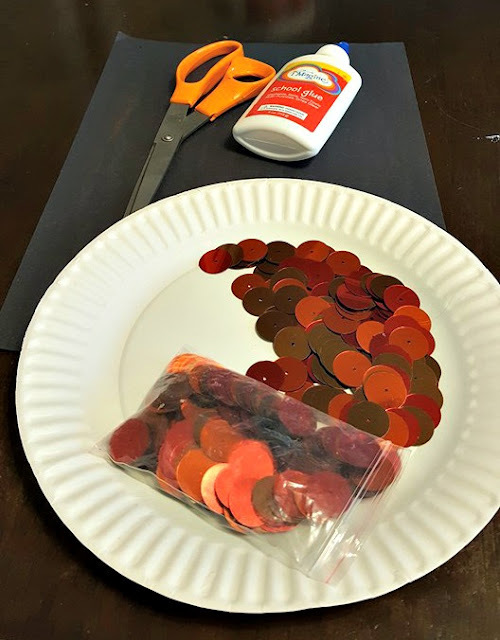 The sequins stick together and working them apart is great for little fingers! As you fill in your plate, cut eyes and a mouth for your shiny happy pumpkin. With glue apply the facial features to the sequined plate. And there you have a Shiny Happy Pumpkin! Love the use of the large sequins, looks fun. My daughter loves Halloween crafts! What a cute craft that would be easy for my grandsons to do! This is a cute pumpkin craft. This would be really fun to make with my niece!